Miss. Beno Zephine has achieved the unique distinction of being inducted into the most prestigious Indian Foreign Service on last Friday, 12th June, 2015. The Union Govt. has also played a proactive role by making some changes in the parameters so that she can fulfill the assignment. Miss. 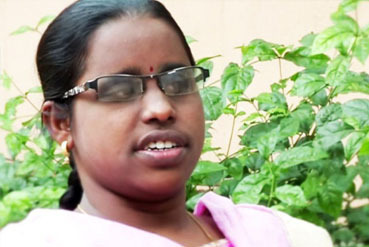 Beno Zephine managed to overcome this challenge by the dint of her hard work, focused approach reading regularly, earlier on brail books and later on using Job Access With Speech (JAWS), the new software that allows her and similar visually challenged persons to read from a computer screen. Miss. Beno Zephine attributes her success to her parents, especially her mother, who read a lot of books and newspapers to her. This is yet another feat by a differently able visually challenged person to prove that with God’s grace, belief in oneself and determination achieving one’s passion and goal is not at all difficult. Zephine is looking forward to a successful career as a civil servant and hopes to give the best to the country. The Union Public Service Commission which conducts this fiercely competitive examination for the Civil Services has also given relief to visually challenged persons who are taking the Civil Service Examination. 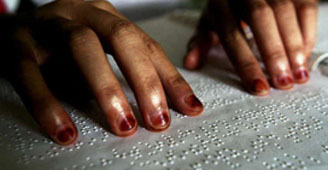 It has been reported that visually challenged persons with minimum of 40% impairment will be allowed to write the examination with the help of the scribe in both the Civil Services Preliminary as well as Civil Services Main Examination. This is also a great encouragement for the visually challenged to compete in the Civil Service Examination and achieve their dreams. Beno Zephine has now shown to the world that visual challenges can be overcome. 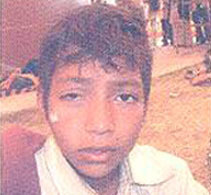 Chote Ram Singh, 11 years old, resident of Viratnagar, in the State of Rajasthan during an eye camp was brought in agony having suffered a perforating injury in his right eye. Such an instance in the village usually means loss of the eye. He had a large cut in his cornea. He was immediately operated upon and his eyesight got restored. It was really a gratifying experience to see the relief on his face. But for the camp he would have lost his sight. Bhola Ram, 68 years old resident of Urla in the State of Himachal Pradesh during an eye camp organized by the Society was observed as having had a poor vision since birth due to a defect during the development in the mother’s womb. He always saw the world in a haze. He never had good vision; perhaps he did not even realize it. While young he managed to carry on but aging had taken its toll and the hazy vision had started to fail further. 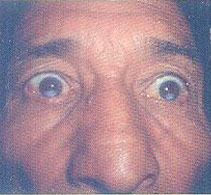 He was diagnosed as having an Adherent Luecoma in each eye with drawn-down pupils. He was advised a simple procedure called Optical Indectomy. In this procedure the pupil is surgically enlarged. He was operated upon in both his eyes and suddenly things changed for him. He said that he has never seen the world like this. He however wondered why it was never ever suggested to him before. 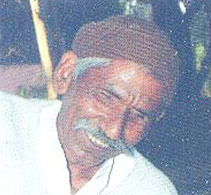 On that fateful night while pursuing a group of dacoits along with other villagers in the Hapur block holding the torch close to his face Bejendra sustained pellet injuries in his eyes, as the fleeing dacoits fired in the direction of the light. A promising career was finished due to loss of sight in both his eyes. He however did not lose courage and NSPB-India’s rehabilitation program for the visually impaired assured him of a fruitful life still ahead. Today he is helping his family members till the land and also he has learned to make ropes and do all his personal duties independently. He is source of inspiration to his family members and the community at large. Neetu, 23 years old, resident of village Chappar, Distt.Bhiwani, in the State of Haryana during an eye camp organized by the Society was observed as having had a poor vision since birth due to a rare disorder Anirida (Absence of Iris tissue) with displaced cataracts. She had great difficulty in managing her daily chores and taking care of her baby. 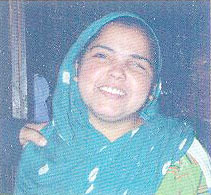 She was operated free of cost in her right eye at Society’s hospital in Delhi. She is grateful and happy to have recovered gainful vision in the eye and is able to undertake her responsibilities more easily. Dukhatar, D/o Hakumat Ali,age 14 years resident of village Salai (Cluster-8) was living her life as a incurable blind since the age of 5 years after her sight was lost due to small pox. She belongs to an economically poor family. 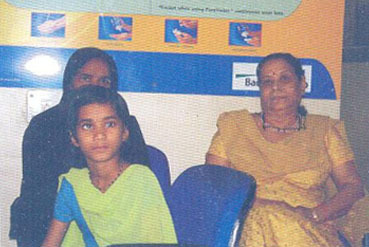 She was even giving training for Braille by an I.E.teacher from a NGO under CBR programme of CBM about 4 years ago. She was diagnosed as curable blind (Dense Central Corneal Opacity) during the screening. After about one and a half years, on the availability of suitable cornea, Keratoplasty surgery has been done in her left eye. Today she has regained gainful vision and is very happy to be able to do her work independently without any support. Will you be my friend? Will you play with me? Little girl Azmetara, all of 9 years still gets sad and her eyes swell up when she thinks of the old days when she fell victim to Retinoblastoma and lost vision in her right eye. All that remained of her eye was a dark frightful and scary socket. 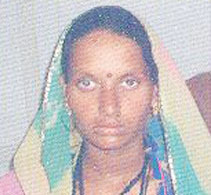 None of the children in her native village neighbourhood in Bihar would play with her and give her any company, as she was thought to be a bad omen. Left to fend for herself at an age when children learn, play and enjoy life, Azmetara led a life of despair and trauma. The divine intervention took her to NSPB India’s prosthetic eye wing at Dr. R.P.Centre at AIIMS. Her case was an uncommon medical phenomenon. Compassionate care at the NSPB-India’s prosthetic centre and surgical intervention by Ophthalmologists at the cancer wing of Dr.R.P.Centre has now helped her lead a normal life. And now, after so many years of childhood lost in wilderness, she has dozens of friends who play with her and treat her as one of them. She now looks like one of them.